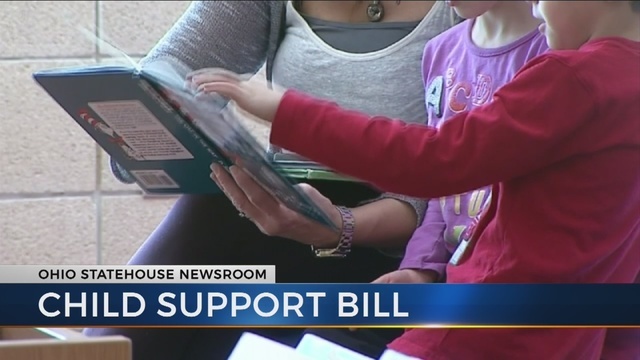 COLUMBUS, Ohio (WKBN) – State Senator John Eklund made a motion to send SB 125, a bill that would change how child support payments are calculated, to the rules committee so it could be assigned to the House floor for an eventual vote, something happened that was unexpected. Eklund had to withdraw his motion when it became clear there were simply not enough votes to pass the bill through the Senate Judiciary Committee. The problem was two Republican State Senators were absent. The vote came down along party lines with five Republicans voting to move the bill on and the three Democrats voting not to; as such the bill could not reach the six votes it needed to successfully move on. So, with Ecklund withdrawing his motion to move the bill, it was put on hold until the next committee meeting so that they could vote on it again next week, presumably when the two missing senators have returned. This all happened just moments after two groups testified against the bill, bringing up concerns about it. A representative of the Legal Aid Society of Columbus also testified against the bill and told committee members they had drafted several amendments that could make the bill better. When asked if they had discussed these amendments with the bill’s sponsor, State Senator Bill Beagle, they explained they had not had an opportunity to do so yet. According to Stuart Itani, the group has come up with about 10 amendments many of which are just technical issues. But there are several significant changes, like reducing a 4-year review of the changes to a 2-year review. This seemed to generate interest in the ranking minority committee member Senator Cecil Thomas who voiced support for such a change just prior to the motion for a vote. While Hubin told the lawmakers he would be opening to urging his organization to endorse the bill if some changes were made to their areas of concern, Itani would not commit to the same. Meanwhile, committee chairman Senator Kevin Bacon did announce that the bill’s sponsor is and will continue to be open to adjusting the bill as necessary to continue to move the legislation forward. Speaking with Beagle moments after the motion to move the bill was withdrawn, he reiterated that passing legislation that addresses the outdated system in place currently is vital and that he is indeed open to making some changes. After 25 years of using data from 1980-86 to determine what it costs to raise a child, Beagle says an update needs to happen for the good of the children of Ohio.